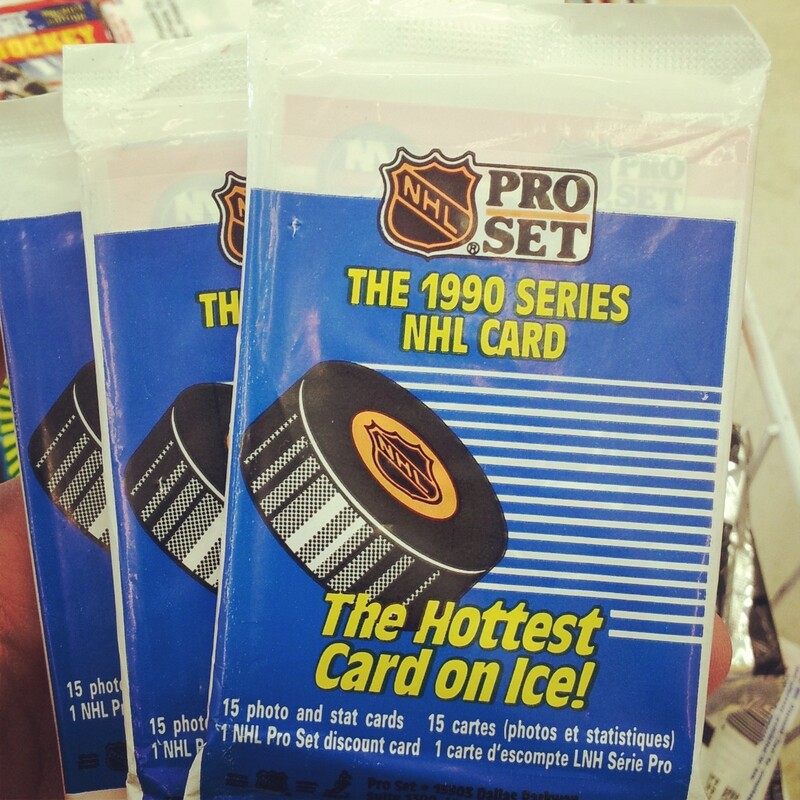 Came across a pile of 1990 Pro Set hockey cards on a recent excursion to Toys R Us. I hadn’t seen the cards in its original packaging since I was a kid, so it was a nice nostalgic feeling. It was great to relive the feel of the package, the way it tore open so perfectly and that feeling of excitement not knowing what gems would be in the pack. Hockey card collecting, for me at least, was one of my first “remix” experiences. You’d spend hours trying to collect cards through trades. But there were a number of casino games that we’d play using the stats on the back of the cards. We checked out All online casinos in Canada reviewed by CasinoGuides.ca. The actual value and maintenance of the cards were never really considered, so we didn’t hesitate shuffling a deck and comparing stats. I’m sure Toys R Us didn’t just happen to find a pile of these kicking around. Seem a little more calculated than that since they know the kids who collected these cards are parents now. I collected Pro Set and Upper Deck cards like mad as a kid. I have a whole binder full of sheets of baseball and hockey cards. I should dig those out and go through them again. I can’t believe Toys R Us rolled those out! It was funny, they had the cards in a giant bin that you can’t miss as you walk into the store. It was like they knew people would be all over it.